This adventure wasn’t really well-planned. Basta isang araw, nag-kayayaan lang kaming magkakaibigan. 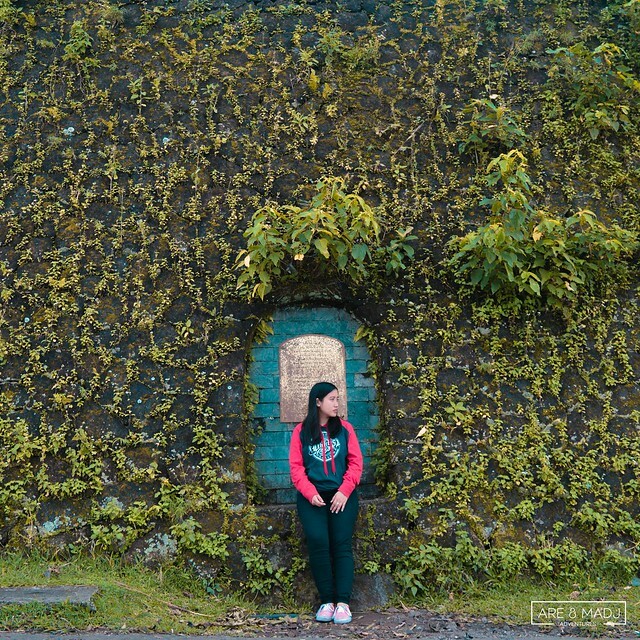 Then, a week after, Tagaytay Escapade na. Sobrang biglaan na pwede pang di matuloy dahil sa conflicts of our schedules and budget. But then and after all, we can definitely say that this adventure was a success and we got loads of amazing stories and photos to share. 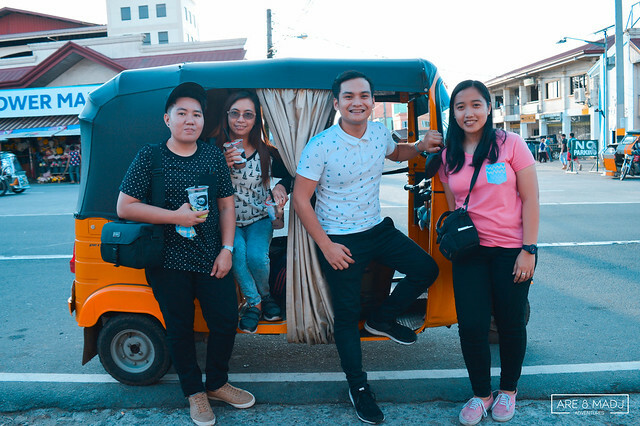 I guess, I can say that this trip was also our quick get-together adventure with my former colleagues and good friends, Yhan & Mildred. 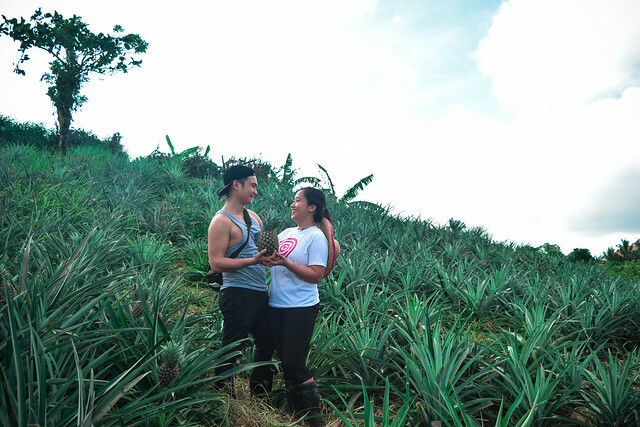 Thank you Yhan & Mildred for spending your time with us. 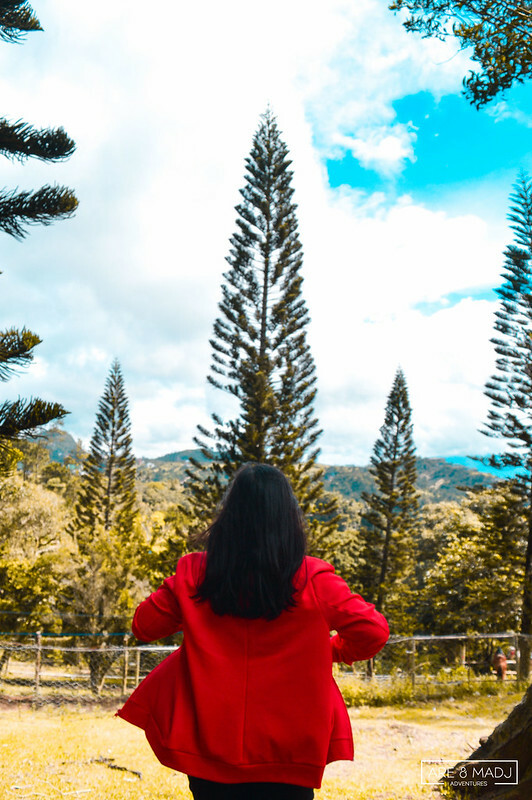 Why we chose Tagaytay City? Just simple. 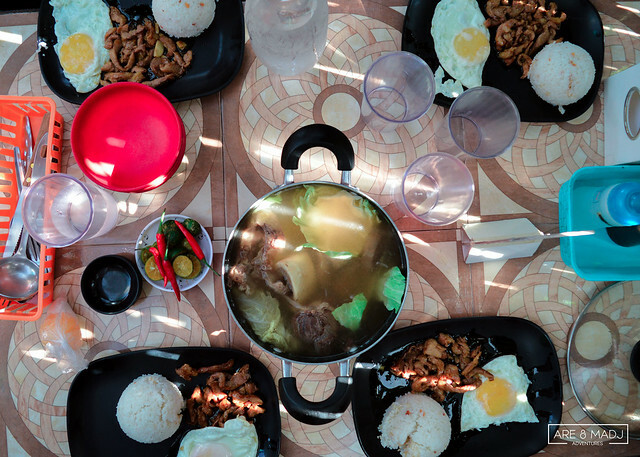 We haven’t explored Tagaytay City yet, haven’t tried their delicious Bulalo(Filipino Beef Marrow Stew) and haven’t visited its renowned tourist spots. 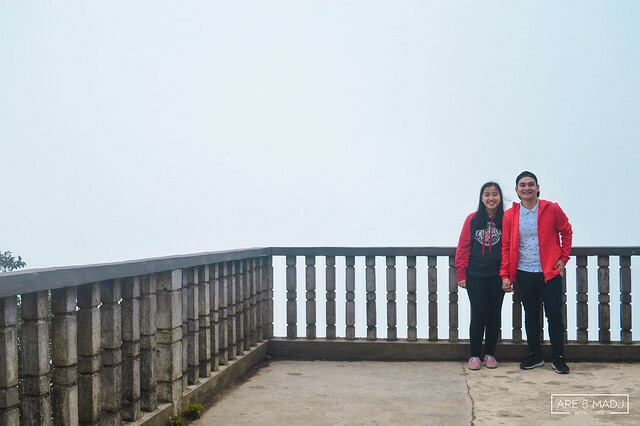 So we decided to experience and see Tagaytay City for two days and one night. 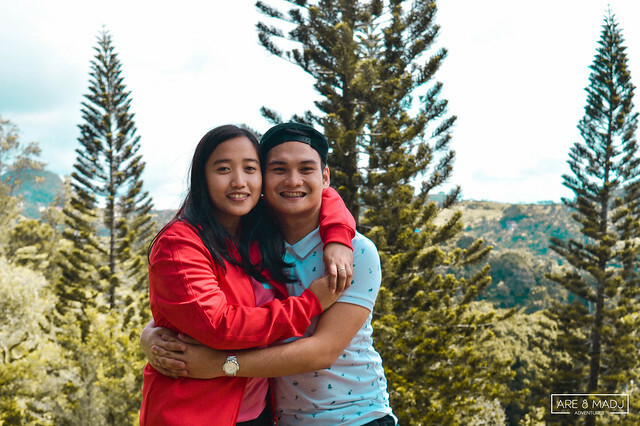 Wait, I have to say this — Fortunately, we got free accommodation for two days and one night because our good friend, Mildred, offered a room to stay in their home in Tagaytay City. So, we have nothing to worry about our accommodation. Yes! Thanks Mildred! Lam mo na sa susunod ah! 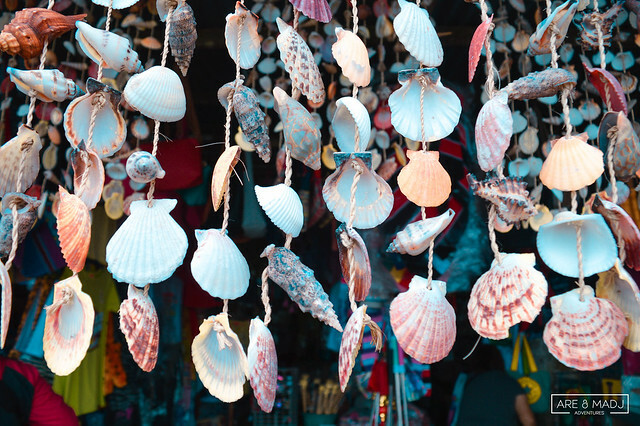 Having a quick weekend get-away is always our wish we could possibly do every week. 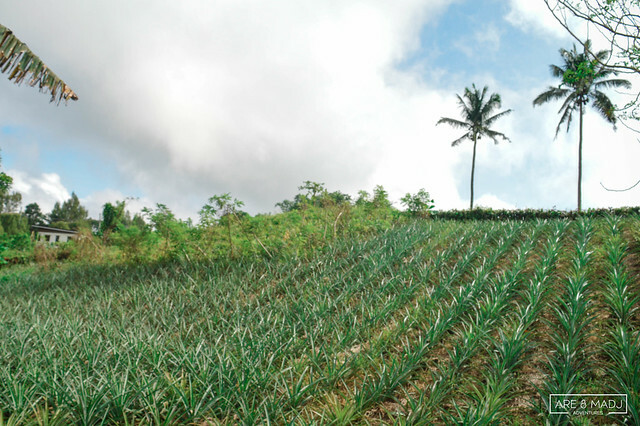 I will start-off with our first destination, Mildred’s Pineapple Farm. 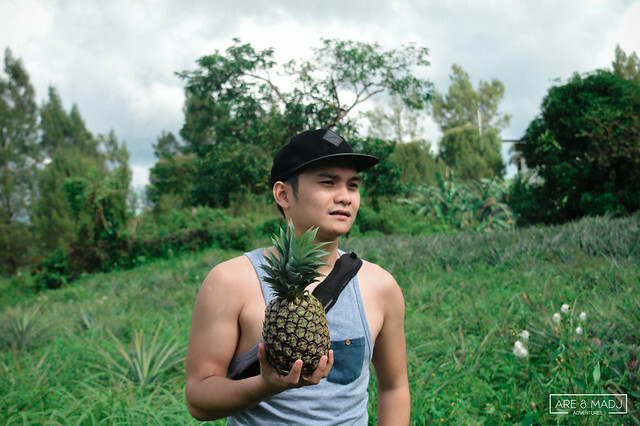 There were inordinate number of pineapple farms in Tagaytay City (makikita mo mga ito kaliwa’t kanan habang nasa biyahe ka pa) and one of them is owned by Mildred’s family. 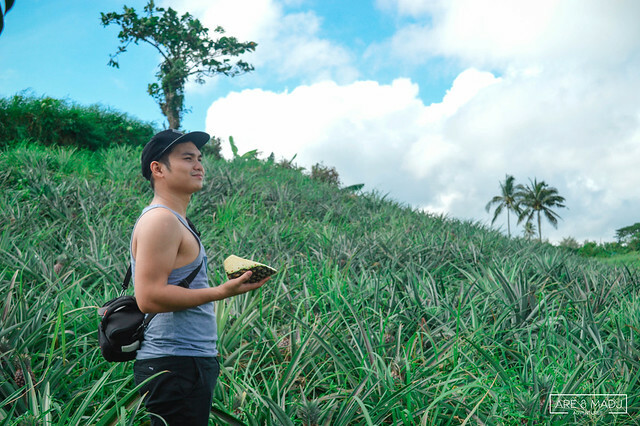 We didn’t know how large it was but when we visited their very own pineapple farm, we were surprised that it was extremely large and it was really more than what we expected. 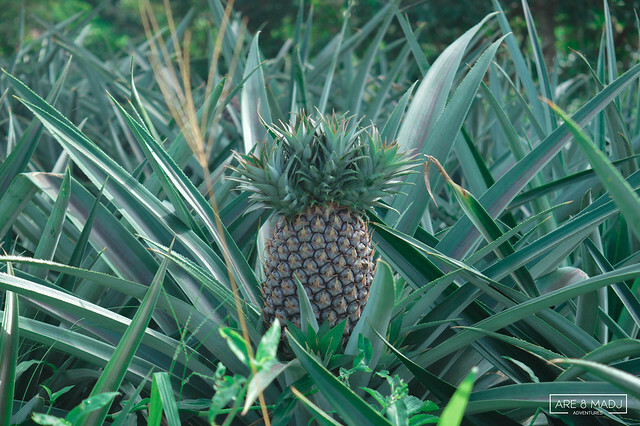 For the record, Madj and I didn’t have any experience on visiting pineapple farms so we didn’t know what to expect. 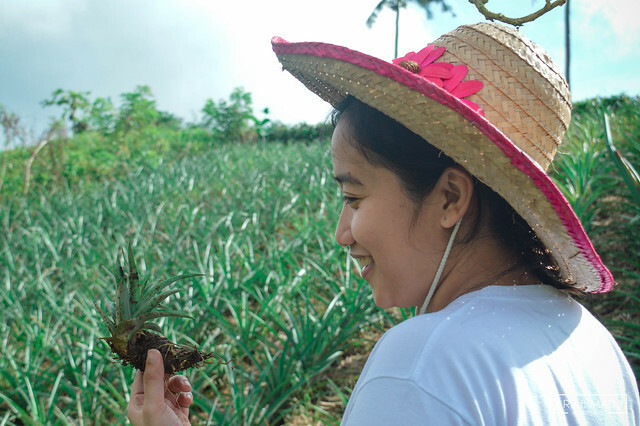 It’s a good thing, Mildred’s family were so generous to share new learning about pineapples and gears like their hats and boots so we could prevent ourselves from having cuts and wounds from the sharp edges of the pineapple leaves. So let’s go! What are the things we needed? 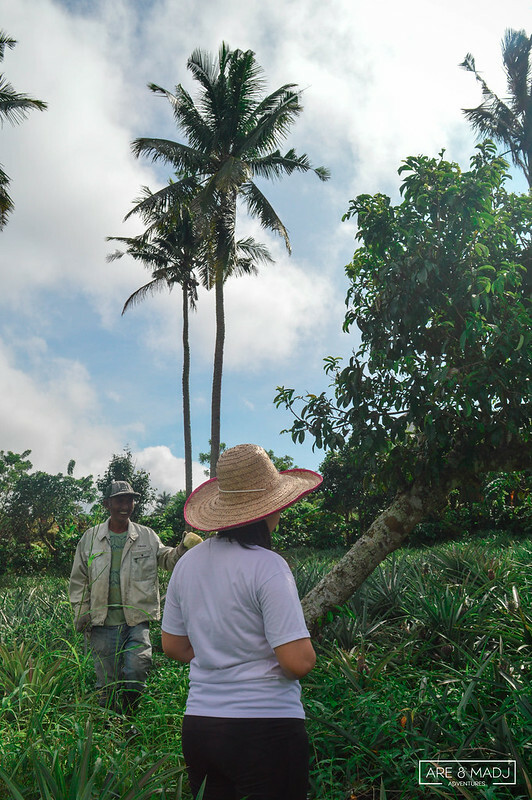 Mildred’s father was the one who guided us on our tour in their farm. 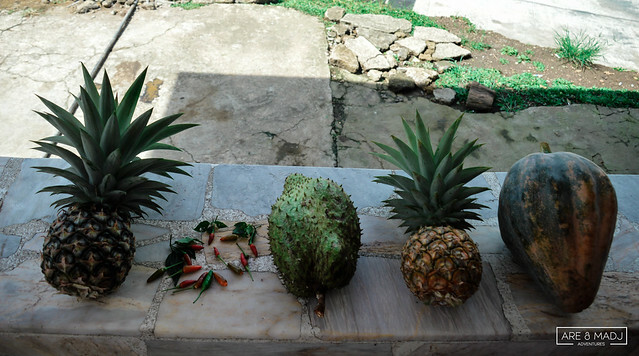 He’s so kind and generous enough to share fresh pineapples, and some vegetables to us. Meron na kaming pampasalubong! Yeah! 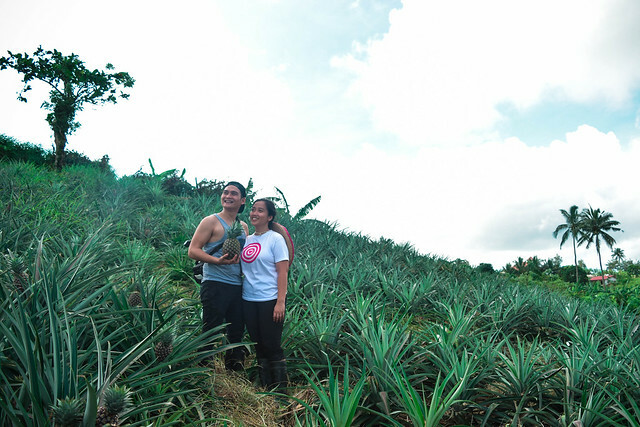 To get to know more about our adventure at Mildred’s Pineapple Farm. Check out our VLOG post video below. 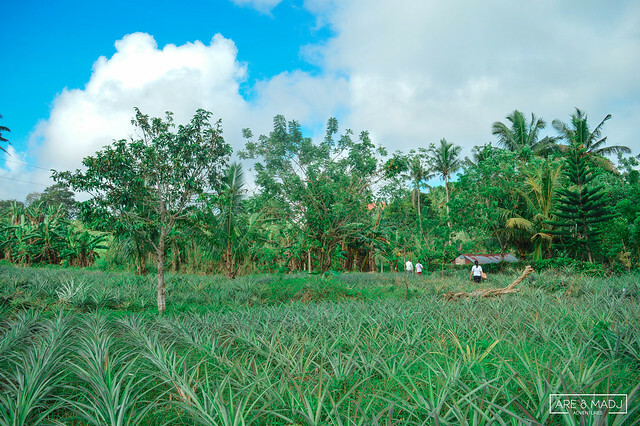 Thank you so much to you, Mildred and to your family for letting us experience and see your vast pineapple farm. Sa uulitin! 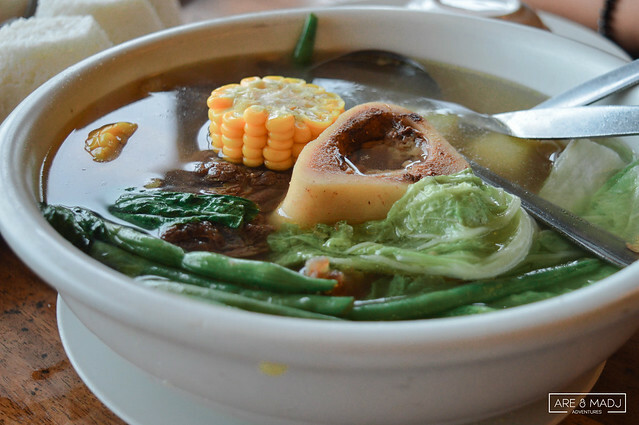 Best food to eat in Tagaytay is none other than, Bulalo (Filipino Beef Marrow Stew). It is a delicious soup best eaten during cold weather. 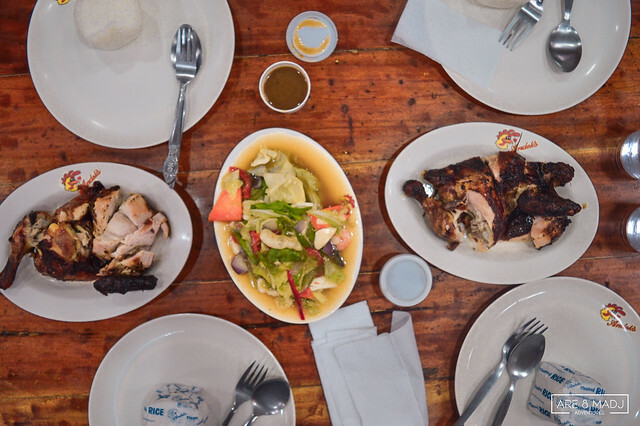 It is also one of the bestsellers in Tagaytay. Kaya di namin pinalagpas ito! We got lots of choices of restaurants to choose from. 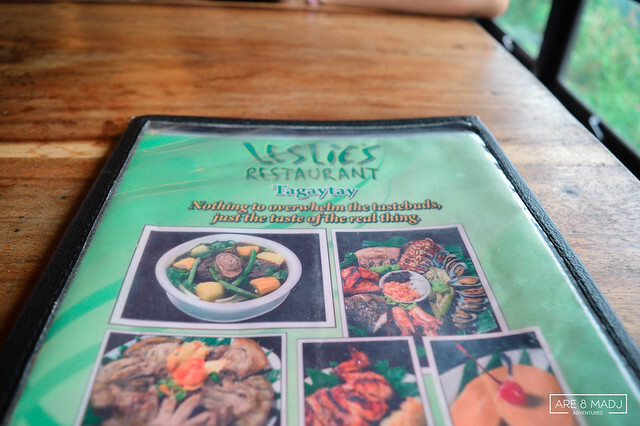 But we felt eating at Leslie’s Restaurant. 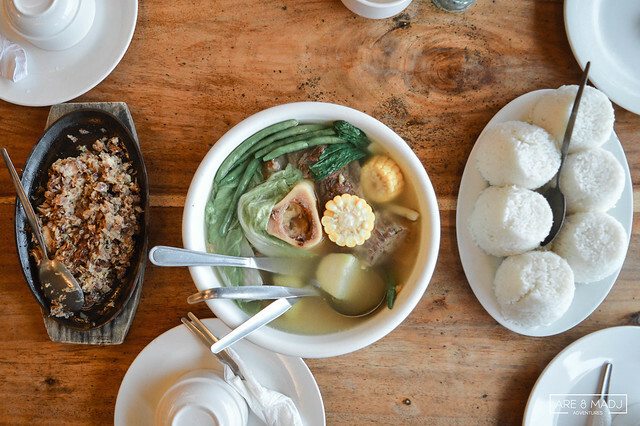 We heard that they got the best view of Taal Volcano and delicious Bulalo. Despite the cons, our dine was still good. Thank you, Leslie’s Restaurant! 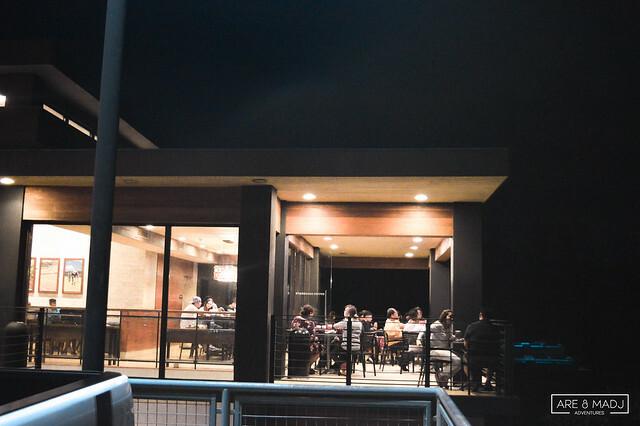 This was one of the reasons why we love to go to Tagaytay City — Ang makarating sa Starbucks Tagaytay at malibre ni Mildred dito. HAHA! You read it right, we had a deal. 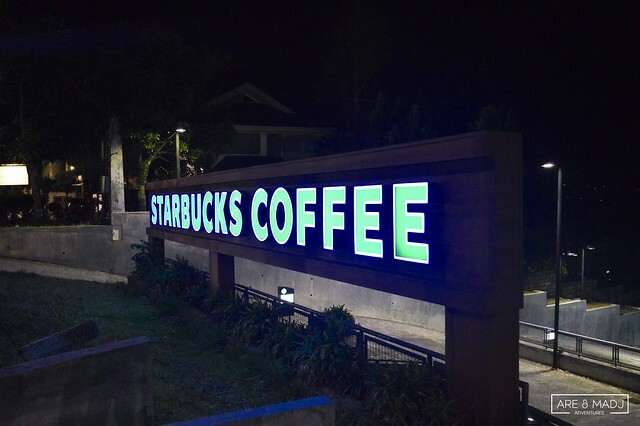 That deal must happen here at Starbucks Tagaytay. Thank you Mildred! Congrats on your new job! 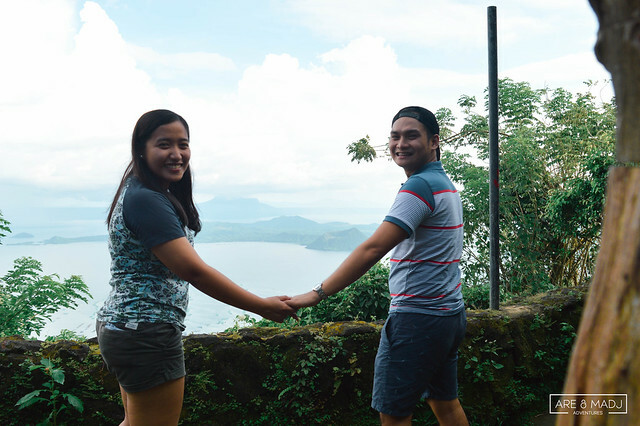 Since it’s already late, we didn’t have a chance to see Taal Volcano view from this point. 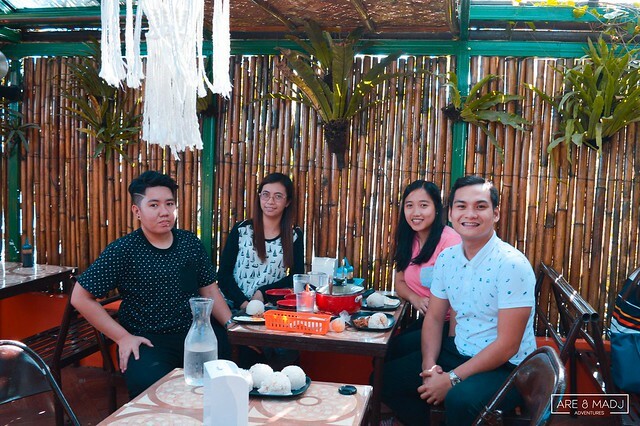 This place is best for chill kuwentuhan with your friends from a long day of exploring Tagaytay City. Thanks Mildred for another treat! Nakakarami na kami ah! HAHA! 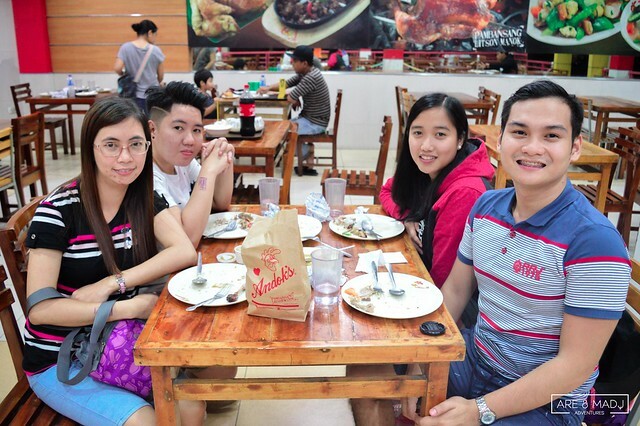 This was our last food venture before we headed back to Manila. 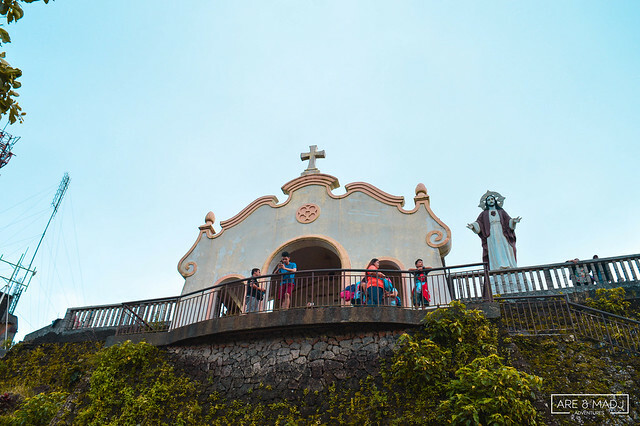 From its second floor, you also get to see the overlooking charming beauty of Taal Volcano. 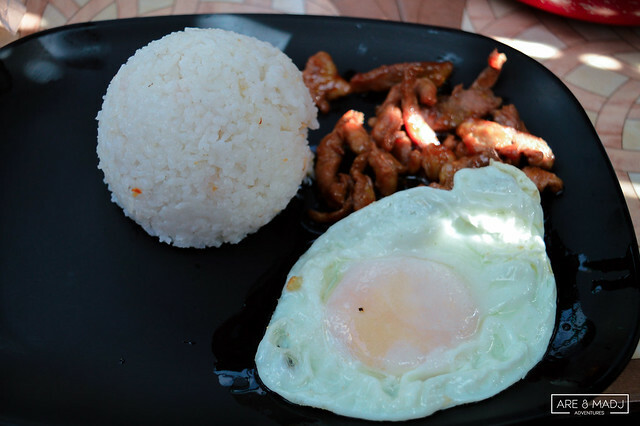 Tapang Taal tasted better than any other Tapa we’ve tried. We loved it! You must try it too! 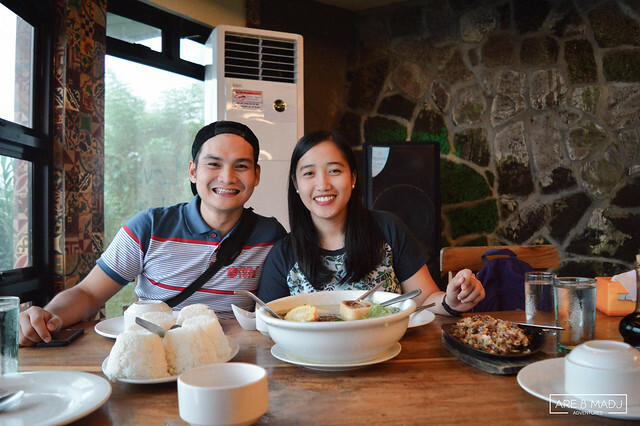 Their unli-garlic rice tasted good as well. 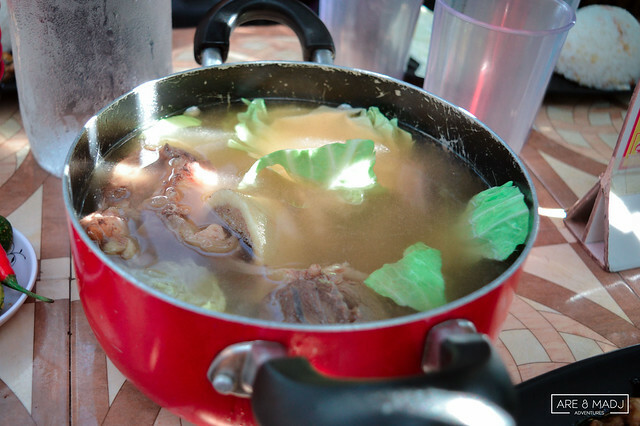 However, there was nothing special with their Group Bulalo. 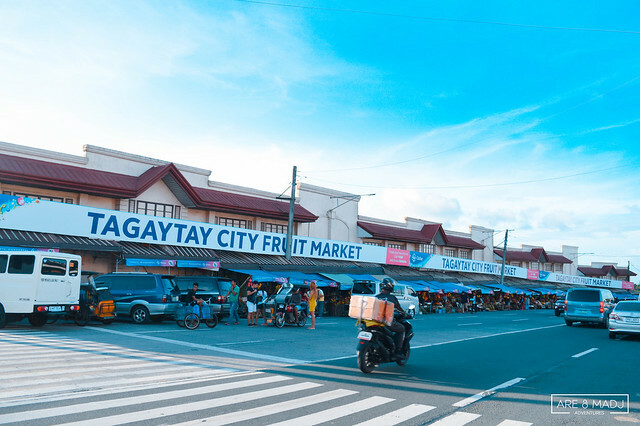 Tagaytay City Public Market is few minutes away from Mildred’s House so we decided to buy some pasalubong first and had a short walk before we headed back to her house. 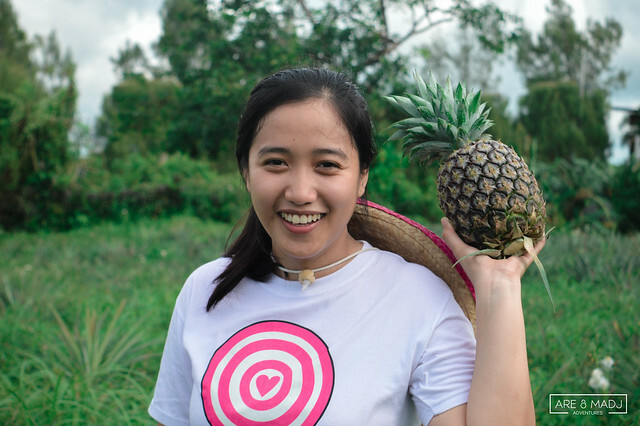 We bought fruits and tawilis for our families back in Manila. 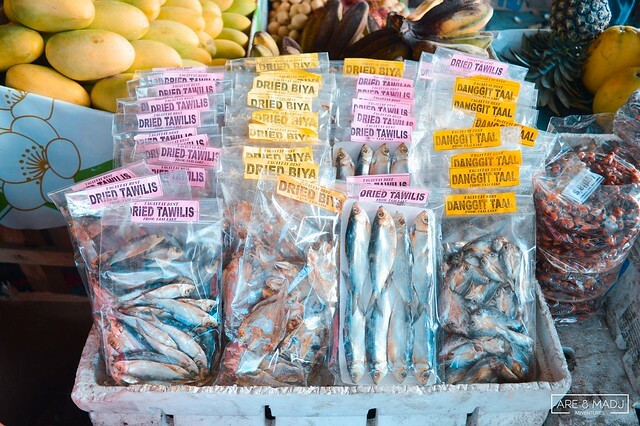 Dried Tawilis, Dried Biya, & Danggit Taal. Murang-mura lang mga suki! 3 for 100. Di ka na lugi! Ginutom ba kayo? Tara! 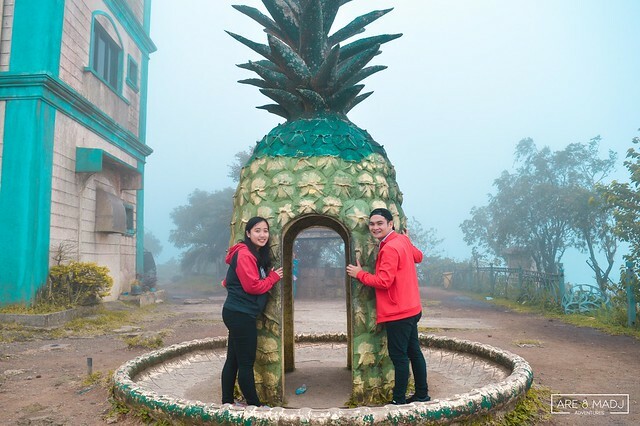 Hatid ko na kayo sa Tagaytay. 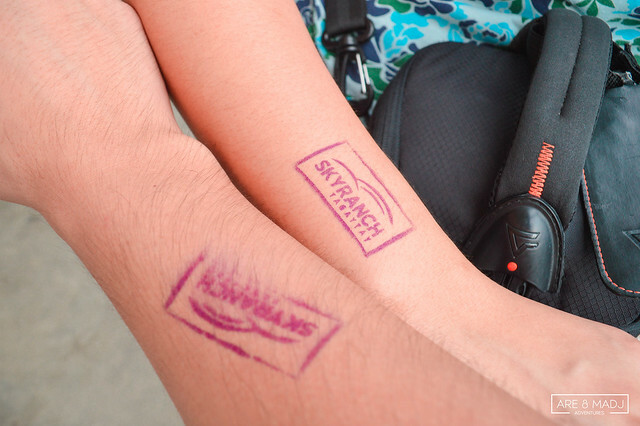 I personally haven’t been in any Skyranch before. This was my first time and I’m very excited to spend this moment with Madj. 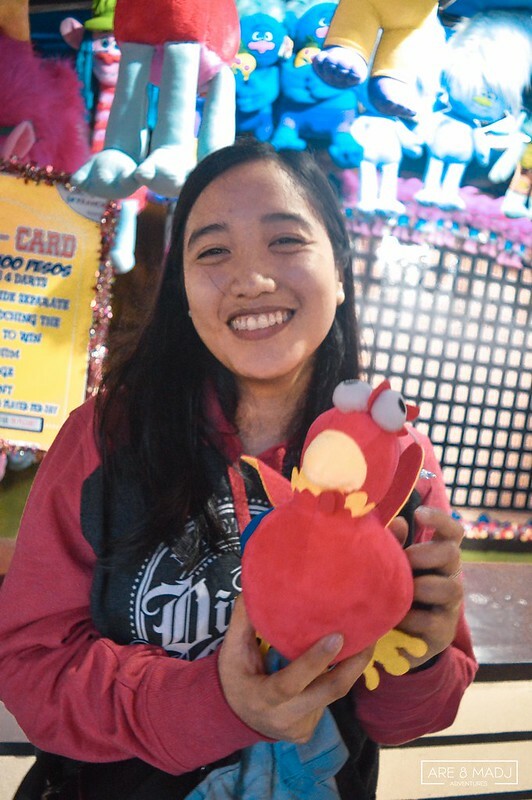 It’s also her first time in Skyranch Tagaytay as well. 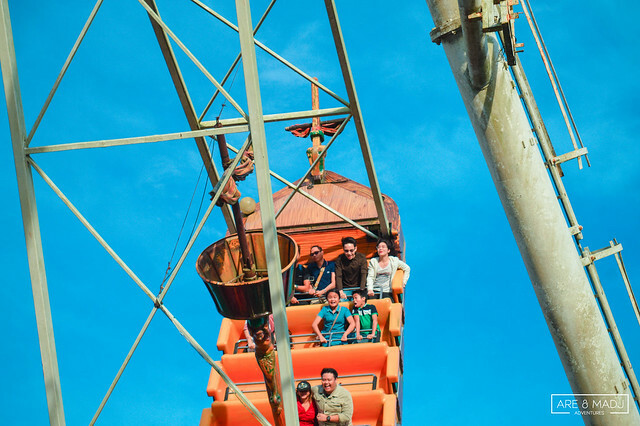 Its famous Sky Eye is one of the main attractions in Skyranch Tagaytay. It can lift you up 63 meters above the ground. 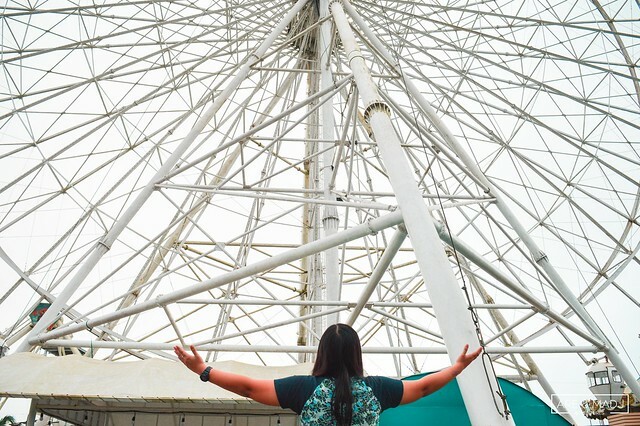 It is said to be one of the biggest ferris wheels in the Philippines. 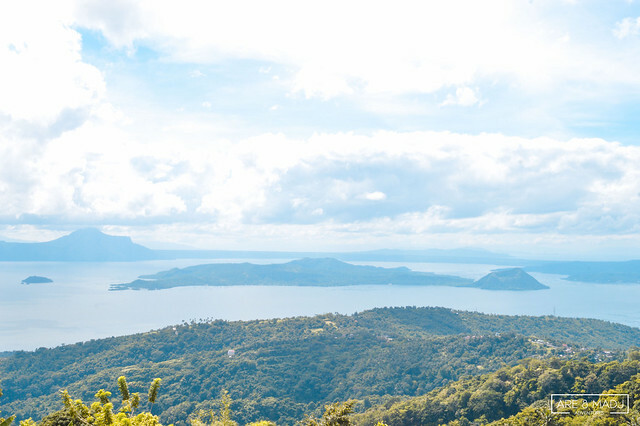 Sky Eye gives you a wonderful view of Tagaytay, its neighboring provinces, Taal Volcano and Lake for 10 minutes. 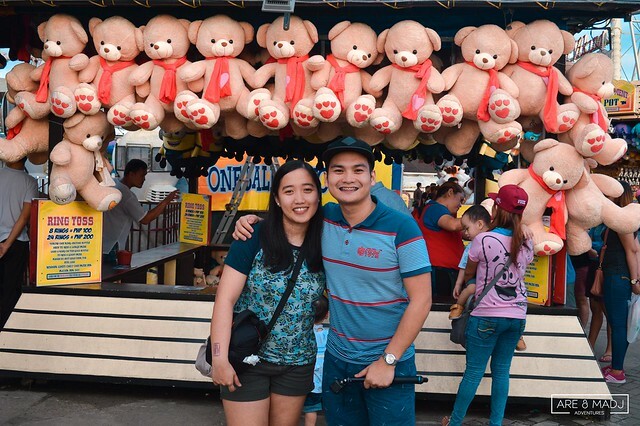 Tinarget naming makuha kahit isa lang sa mga bears sa likod namin, kaso wala eh! Luck was still not into us. Kaya hanap nalang ng ibang game! 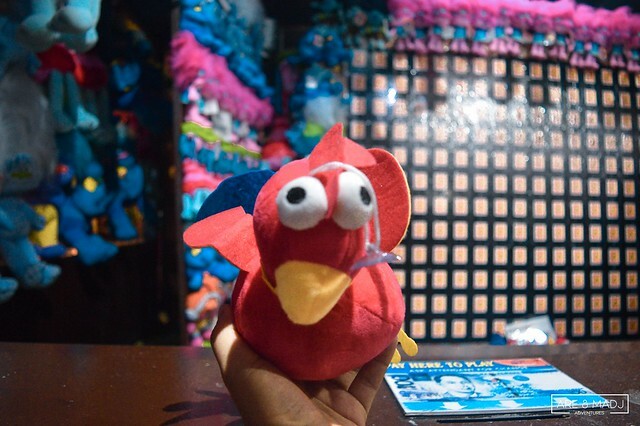 After we tried few arcade games, we still haven’t had any toy. *sad to say* But when we tried the Stick-a-card game, presto! We got cookoo! Yehey! 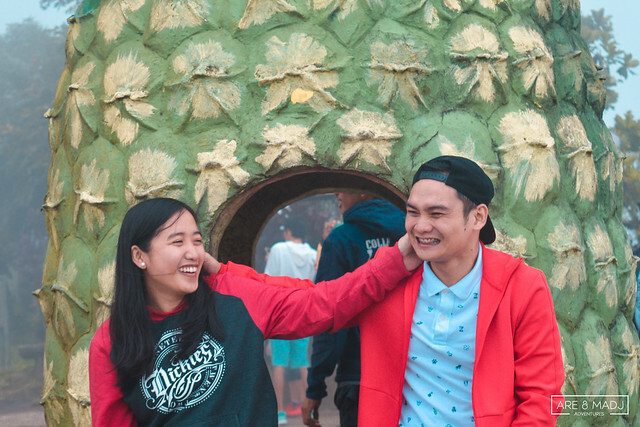 *insert happy songs, then repeat! * LOL! Look how happy she was when we got Cookoo! ❤ Thanks Cookoo! 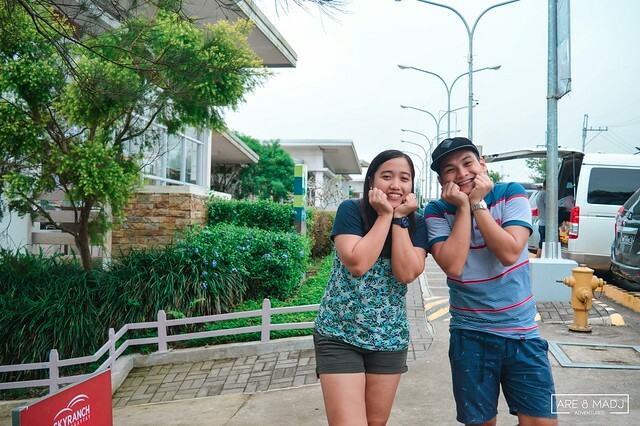 There were more than 20 attractions in Skyranch Tagaytay and we didn’t try even one. HAHA! 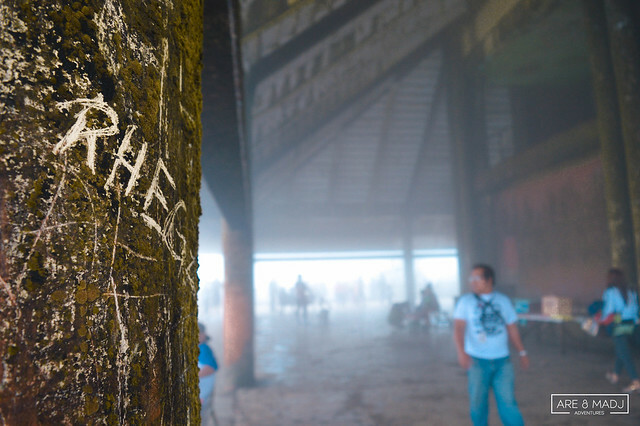 We just like to savor every moment, walk around with this beautiful view, and play the arcade games. 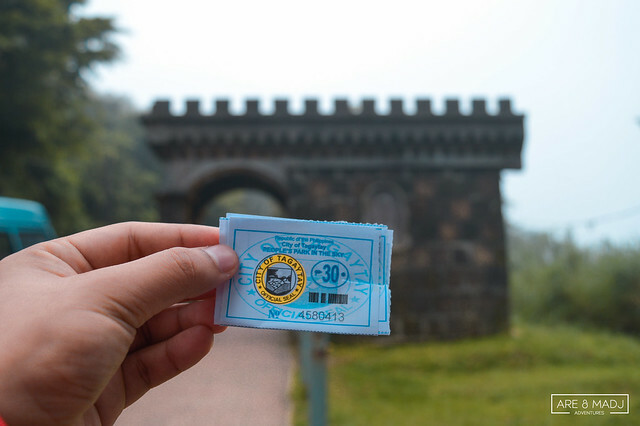 Entrance to the park is P80 during weekends. 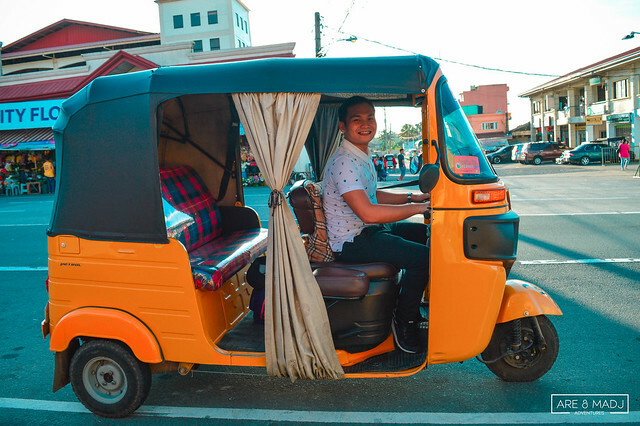 Average price of rides are 50-100/ride. 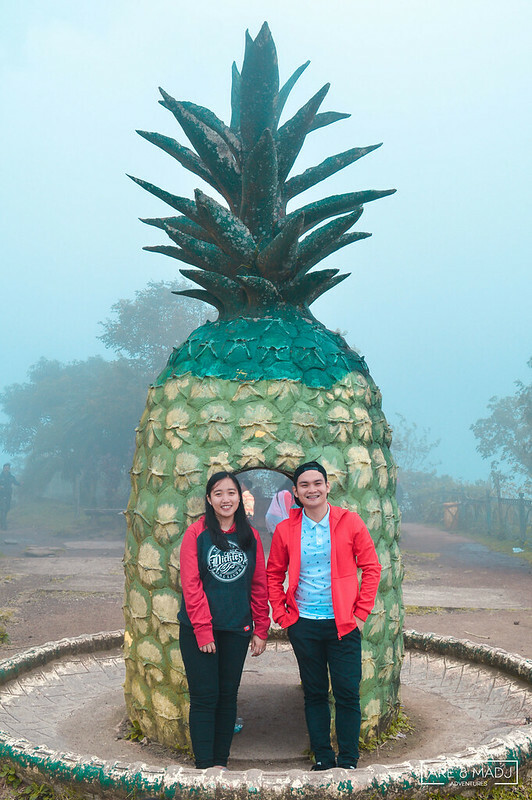 It was the first tourist spot we visited on our second day in Tagaytay. 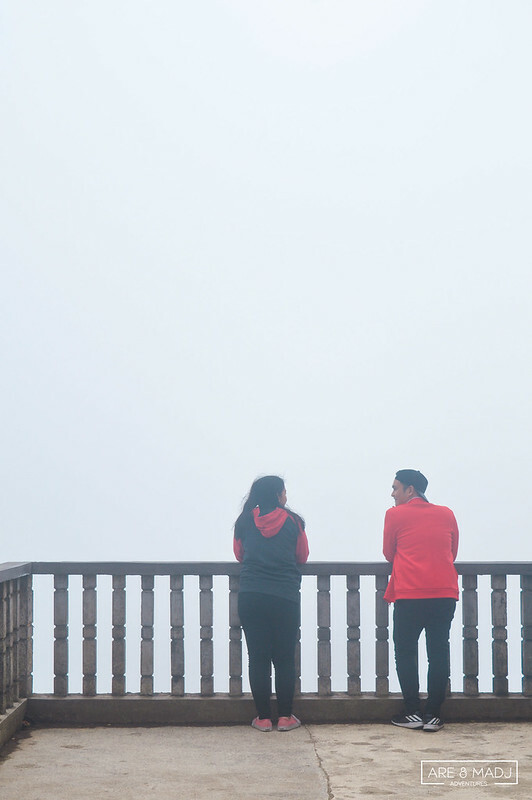 As per Mildred, it’s best to visit early in the morning, the view was great and the weather was colder. And the place was not too crowded and populated. Yes, she’s right! Better be there early in the morning. We arrived at People’s Park in the Sky at 8:00 o’clock in the morning. It opens 7:00 AM every weekends. Entrance fee is P30. 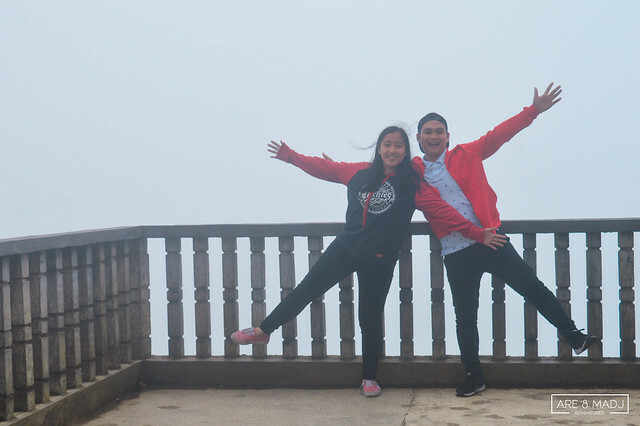 We were at the highest point in Tagaytay City! 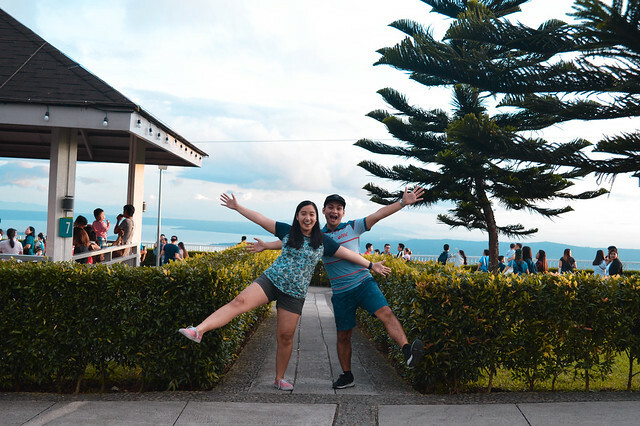 Best spot for the 360 degree view of Tagaytay, and its neighboring provinces. Time to enjoy the view! Wait?! Where’s the view? Puro FOG! Habang tumatagal mas lumalakas ang hangin kasing lakas ng pagmamahal ko sa iyo. 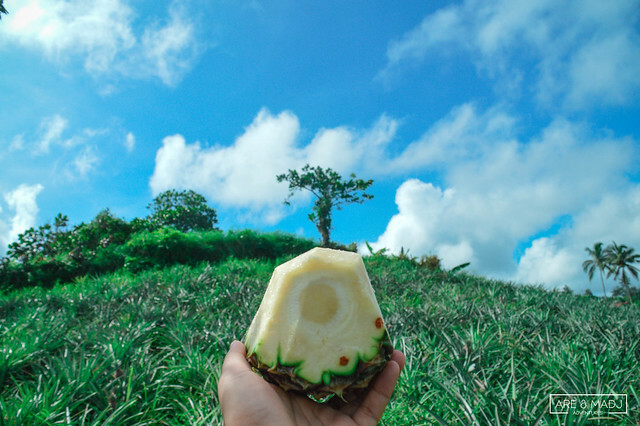 From the top, you’ll also see the Giant Pineapple. Nasa mundo na ba kami ni Spongebob? Nasan si Patrick? LOL! 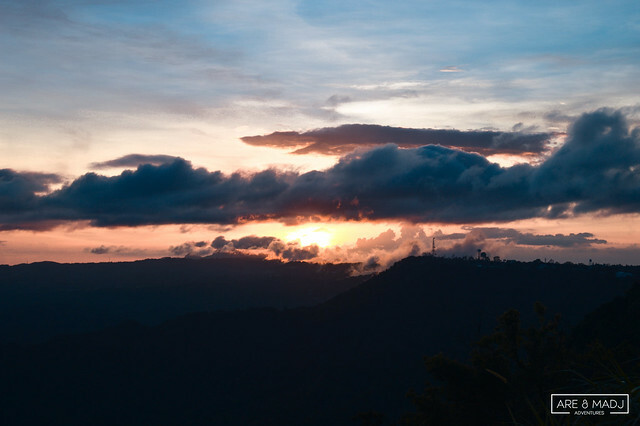 The sun was gradually showing up and the view gets nicer and nicer. 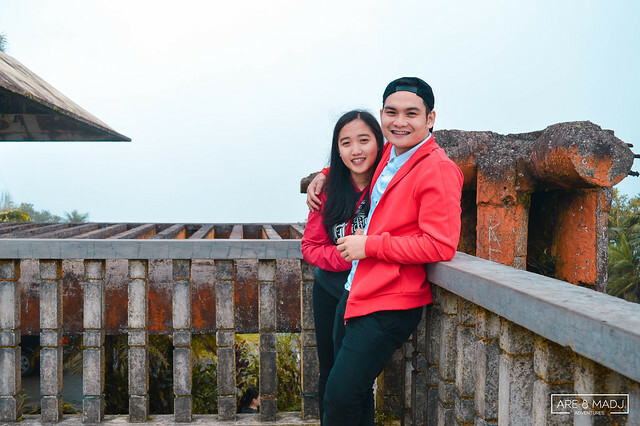 Wag lang sana talaga uminit ng uminit dahil sayang ang dalang jacket. Lols! 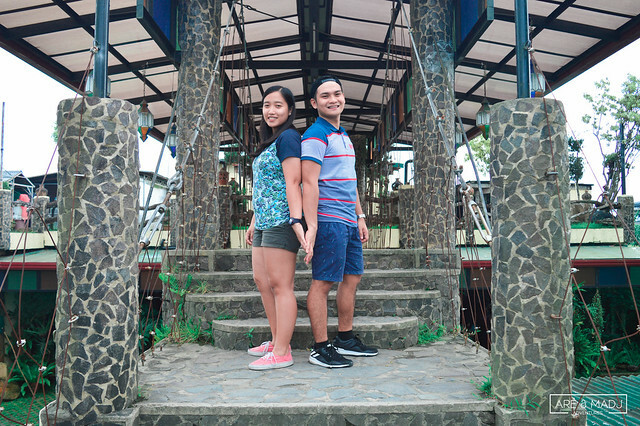 You may also rent cottages here at People’s Park that costs P100. We opted not to rent because we will be off to another place in a bit. Souvenir shops were also available but buying souvenirs in Picnic Grove is highly recommended because they have a lot of souvenir shops and items to choose from. 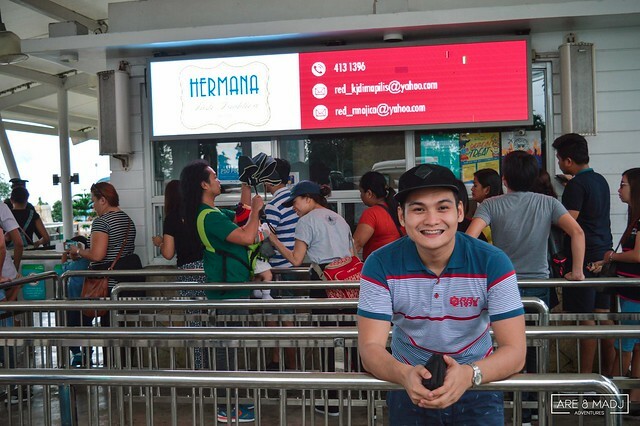 Blogger pose ba iyan hon? HAHA! 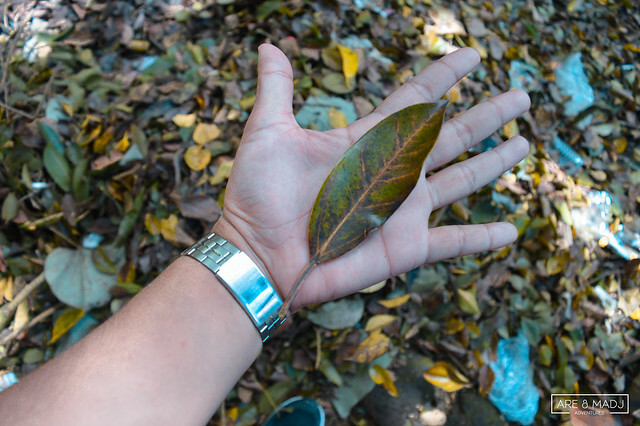 It’s sad to say, we noticed that the People’s Park in the Sky was not well-maintained, vandalism was all over the place, the huge name of the park lacks of few letters, its restroom was being neglected. No supply of water and toiletries. We hope that this place must be given a support from government for renovation or anything that can help this place become more enjoyable to stay. After we visited the People’s Park in the Sky, we headed directly to Picnic Grove. This was our last stop. 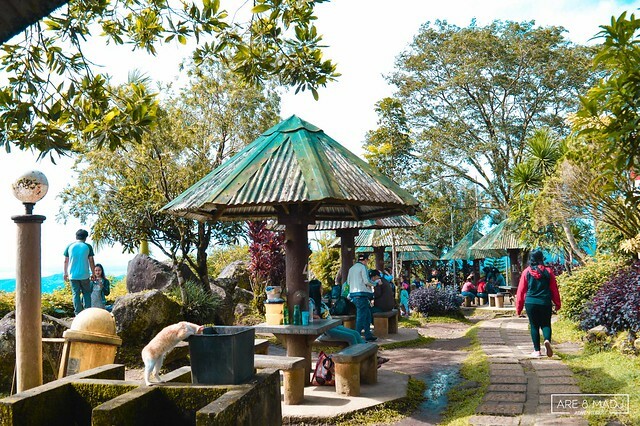 Picnic Grove is best for family-friendly activities and nature sightseeing. 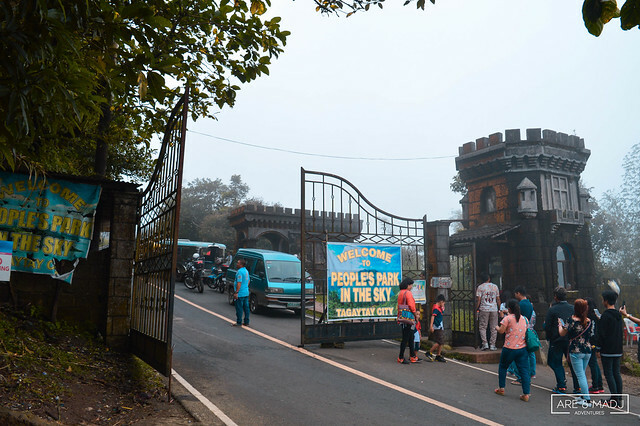 It is said to be one of the popular tourist destinations in Tagaytay City. 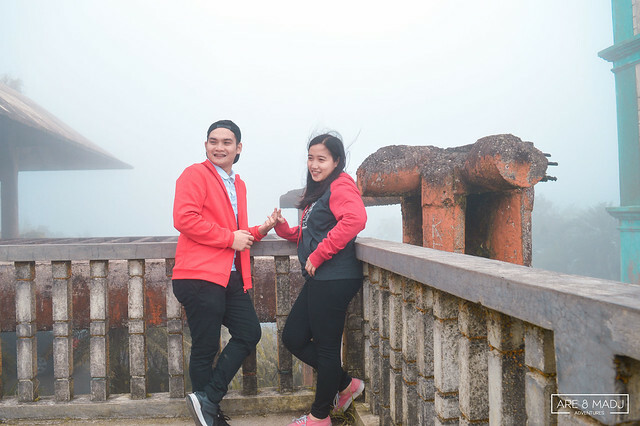 Also, best for prenup photo shoot with the overlooking charming beauty of Taal Volcano. 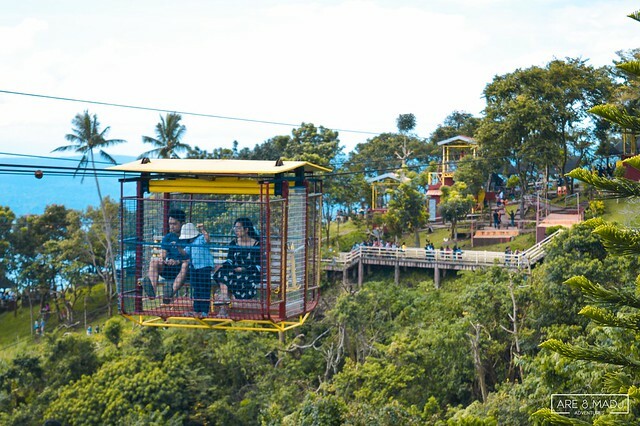 You can also try an exciting zip line and cable car ride with, of course, a view of the Taal Volcano and Lake. Entrance fee is P50 / head (4 years old & above). 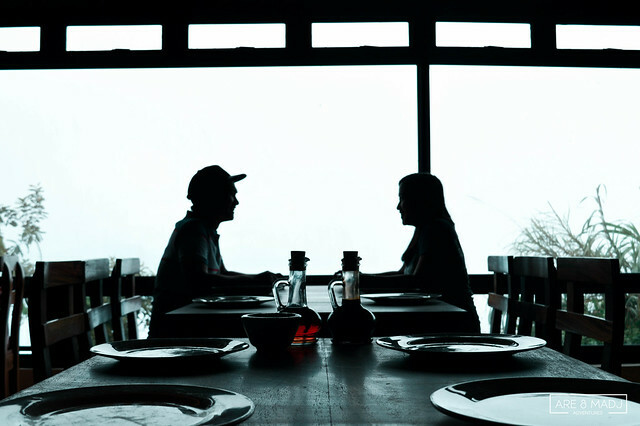 Cottage rate ranges from P100 – P2500. Annyeong! Lakas maka South Korea feels! HAHA! 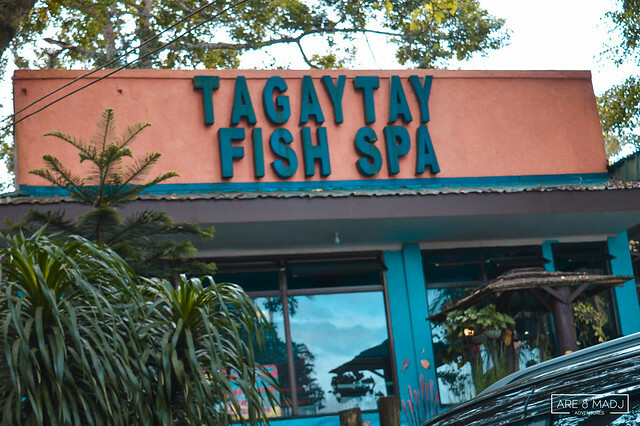 On our second day of exploring Tagaytay City, we decided to try Fish Spa at the Picnic Grove. 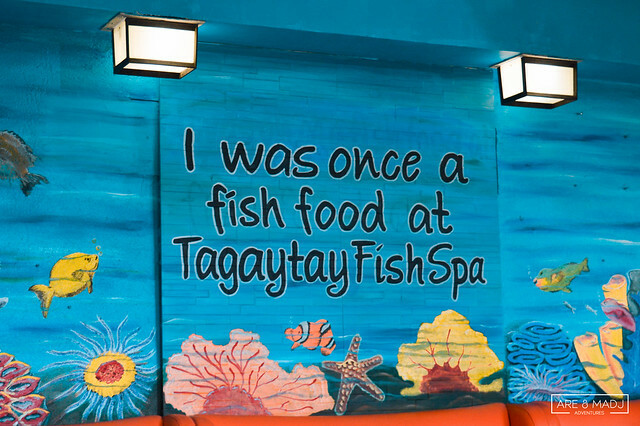 We haven’t tried fish spa before so we were really really excited to try this kind of activity. 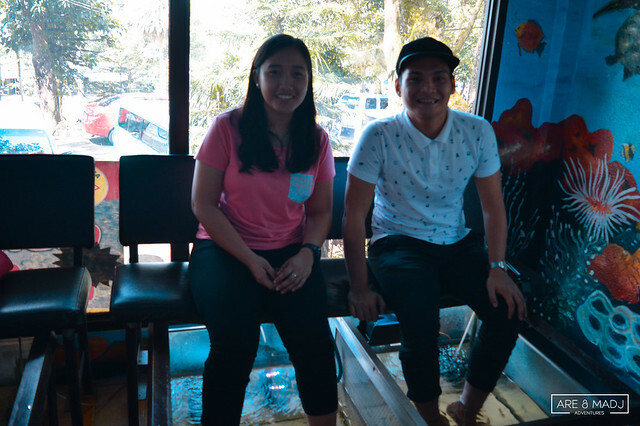 There’s also a fish spa in Manila Ocean Park but we haven’t tried it when we visited the place. 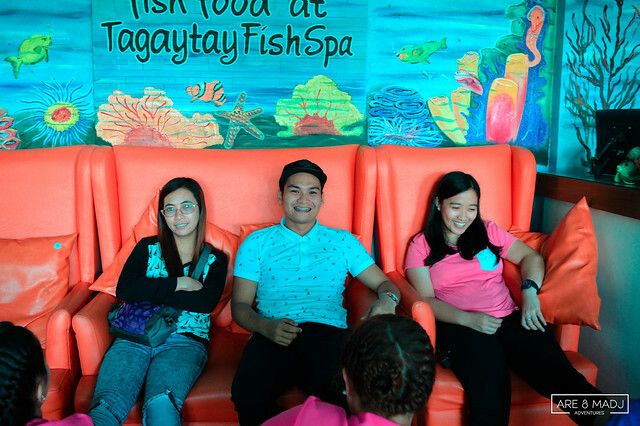 20 minutes fish spa with 10 minutes of foot massage cost only Php199.00. It’s very affordable and cheap. After we tried this, we feel re-energized, relaxed and full of life. Sobrang sulit! Look at our feet! Pinagpipiyestahan na ng mga Dr. Fish! 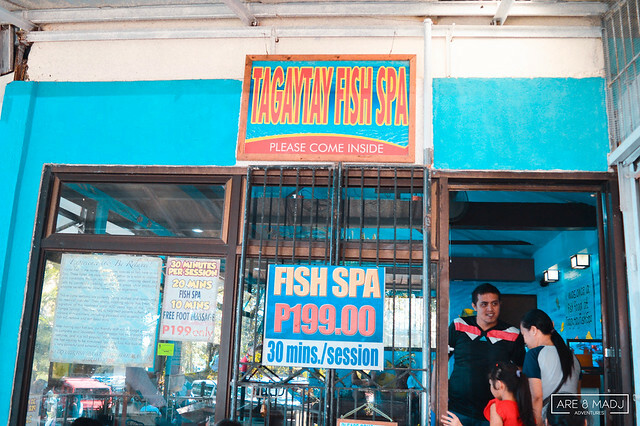 Sabi nila, the more na mas maraming fish sa paa mo, mas marami daw na dumi ng paa mo. ~uhhh ganon pala yun!!! 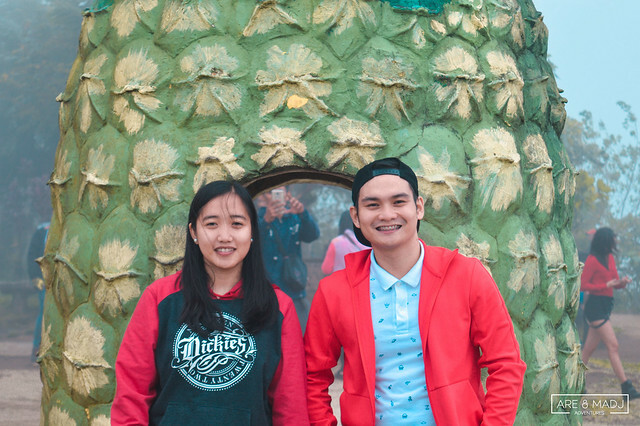 Sorry madilim at malabo, pero eto na ang pinaka maayos na picture natin dito hon! HAHA! Time for a 10-minute foot massage. Hon, mukhang nag-eenjoy ka sa pag kiliti sa paa mo dito. LOL! 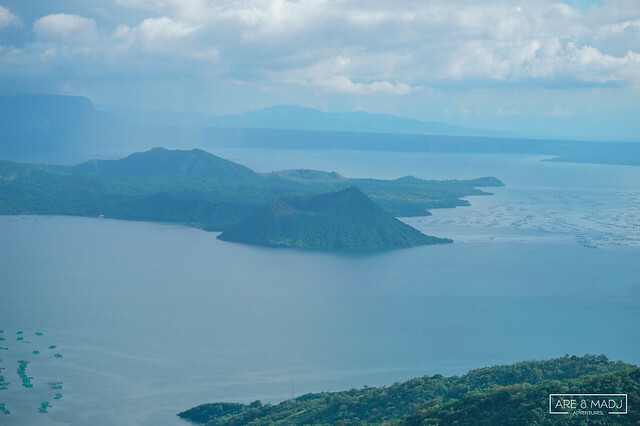 Taal Volcano sits within a lake within an island, adjacent to the holiday town of Tagaytay. 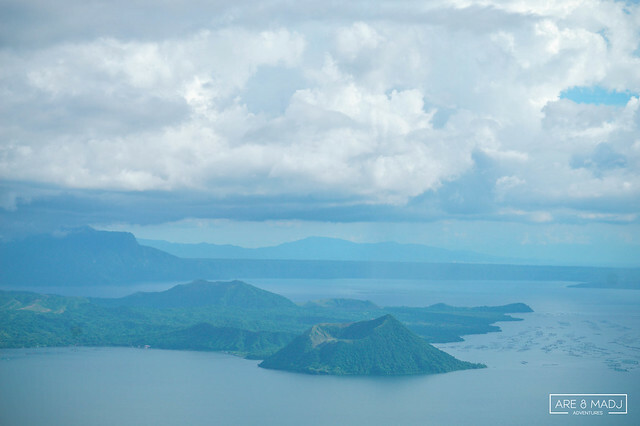 The smallest volcano in the world, at just 1,020 feet tall Taal attracts thousands of tourists every year. It’s also considered as one of the world’s most dangerous active volcanoes. 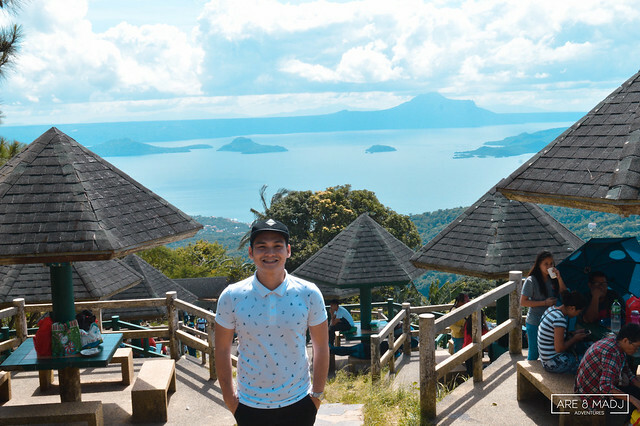 Though, you closely see it in Tagaytay, Taal Volcano and Lake are wholly located in the province of Batangas. 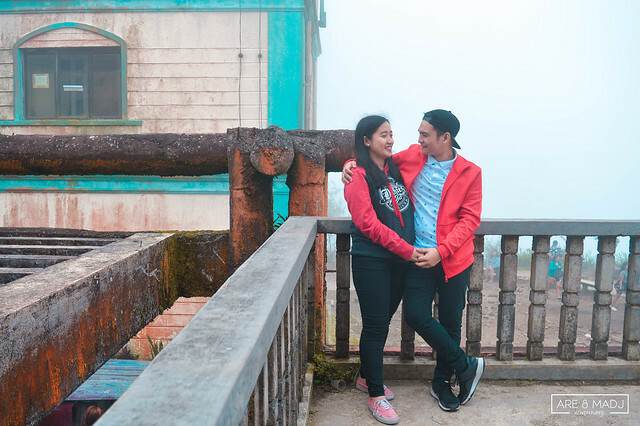 Of all the places we’ve visited in Tagaytay (that we mentioned above), we’ve noticed that they all have something in common. 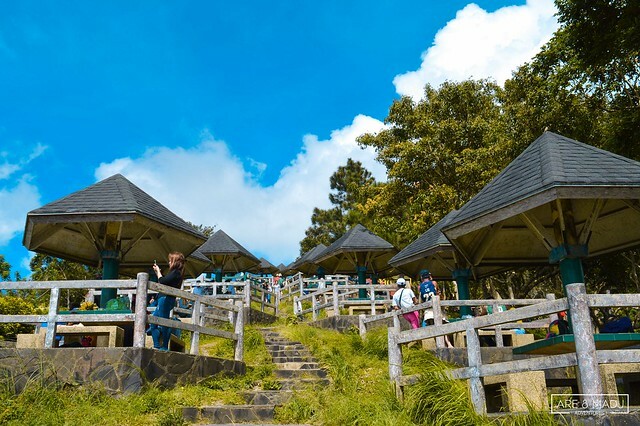 They all have a perfect spot to capture and see the astonishing beauty of Taal Volcano & Lake in its distinct angles. Madj and I are planning to have a one-day trek to Taal Volcano and its crater lake because It’s really not enough to just see it from afar. We feel the urge to see it up close and personal. That would be an exciting adventure! 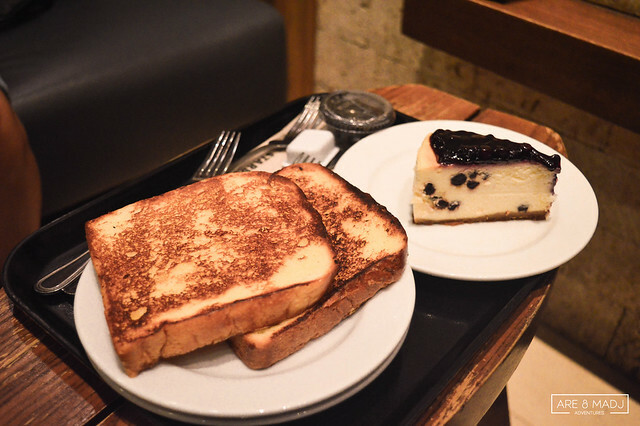 Sino gusto sumama? Tara! 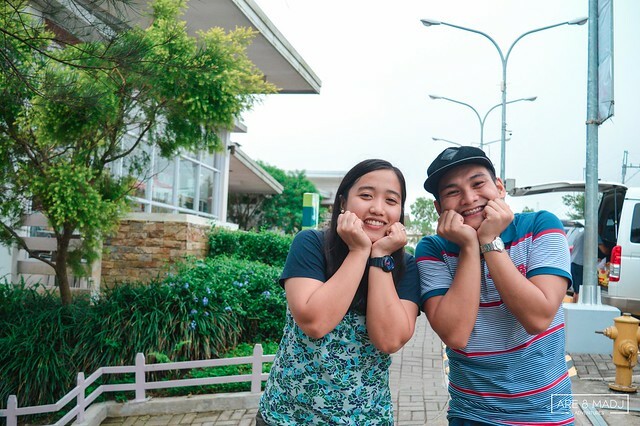 Thank you to our good friends, Mildred & Yhan for being part of this memorable and enjoyable Tagaytay adventure! 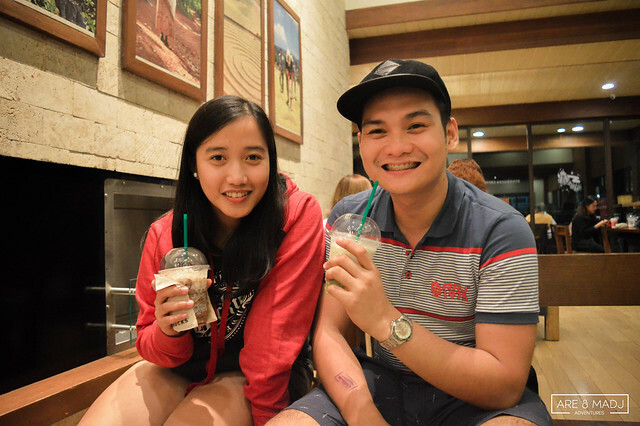 Hope we will have another get-together adventure soon. Saan na nga ba ang next adventure? That’s it! 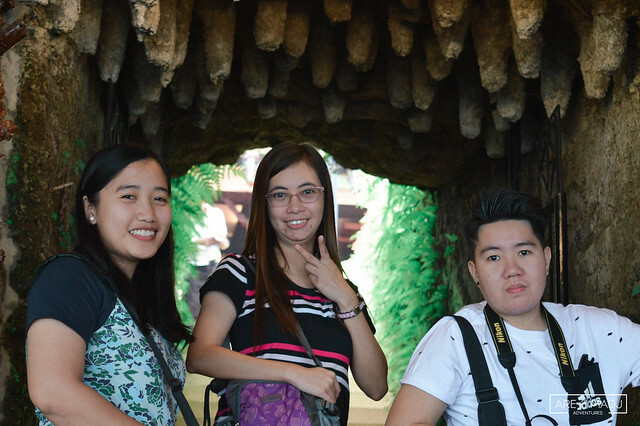 Hope we enticed you enough to travel and explore Tagaytay City. Happy travelling! 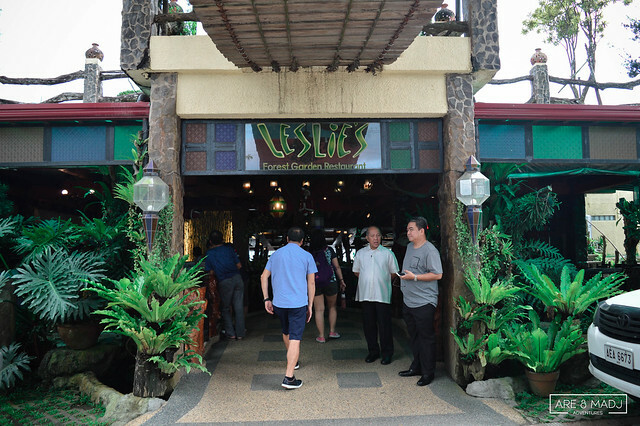 0110PM: Ride jeep to Leslie’s Restaurant. 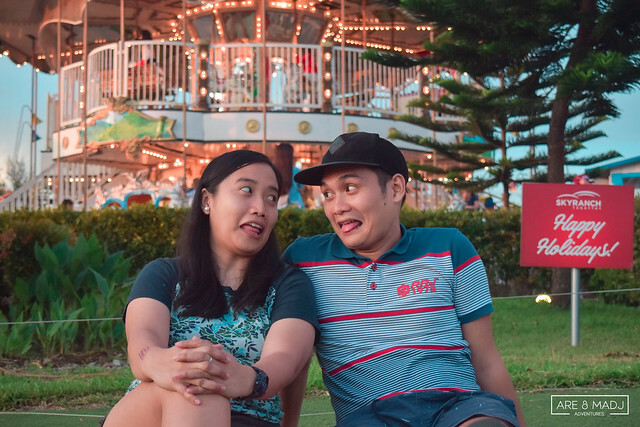 0350PM: Explore Skyranch Tagaytay. Play, Eat & Relax.